The Internet of Things promises to make our lives easier. The idea is to connect simple devices to the Internet so that each of them can talk amongst themselves, relaying useful information to the user. These tiny sensors need a power source, typically a battery, to conduct their business. The type and size of the battery define the complexity of these little sensors. But things are about to change as a new thin Bluetooth chip paves the way for battery-free sensors for the future. 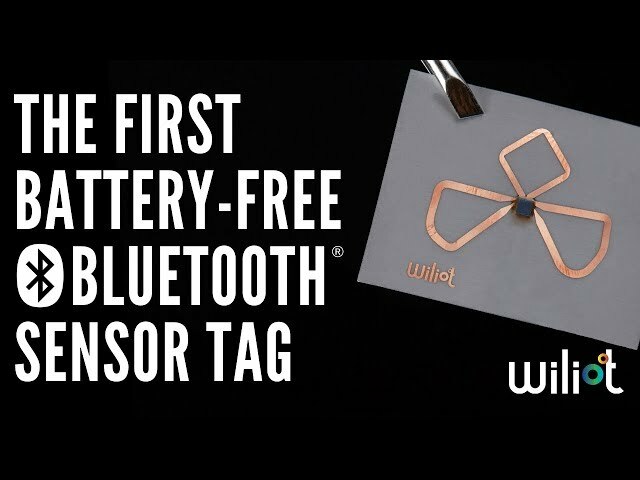 Wiliot, which calls itself a pioneer and innovator in the field of semiconductors, has created what is claimed to be as the first sticker-sized super thin Bluetooth sensor tag that runs without a battery. The sensor relies on energy from ambient radio frequencies. The company announced its new chip at the National Retail Federation (NRF) 2019 in New York earlier this week. Wiliot’s new thin Bluetooth chip can harvest energy from Wi-Fi, Bluetooth, and cellular signals floating around in the air. It consists of an ARM processor that can be hooked up with a number of sensors. The battery-free nature of Wiliot’s Bluetooth chip enables a much smaller form factor. The chip can be easily mounted on just about any object. Some of the use cases provided by the company itself include: putting the chip on a clothing label so that it can communicate with the washing machine, embedding in a digital manual, and others. Wiliot says its chips can be glued to a simple antenna and printed on either plastic or paper. These can authenticate the proximity of another product via an encrypted serial number. The new tags use nanowatt computing to communicate with other devices, powered by Bluetooth Low Energy (LE). The commercial rollout of these ultra-thin tags isn’t expected until 2020. Wiliot has just closed a Series-B funding round with Amazon Web Services (AWS), Samsung Venture Investment Corp, and Avery Dennison.